Love to browse in junk shop windows? Be on the lookout for magic. Sometimes, a tattered old treasure might hide an incredible secret… It’s nearly Christmas, but Irina’s family are too poor and busy to buy her anything she really wants. Then she sees the dusty wooden horse in the junk shop window. Just like that, she falls in love. Somehow, Irina knows this neglected little toy horse is just as lonely as she is. What would happen if it came to life? So spellbinding, so beautiful: this Smarties Prize winner will echo in your deepest dreams. 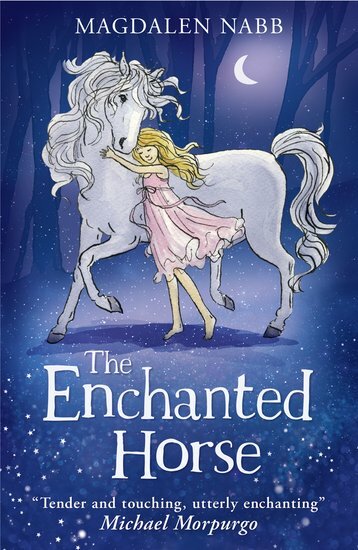 Magdalen Nabb has twice won the Nestle Smarties Prize for Josie Smith and Eileen and The Enchanted Horse.